Local customers please call 575 683 5177 to arrange pickup. International customers please contact us for shipping estimate and arrangements. 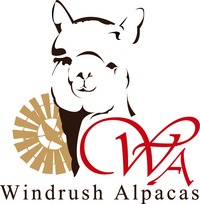 we send our alpaca fiber to. Laundry Instructions: Hand wash cold. Lay flat to dry. 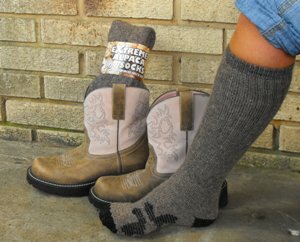 The boot version of the best selling Extreme Alpaca Sock, these socks are great for those who want the tall coverage while wearing boots while still enjoying the soft, cushy comfort of the Slipper Sock. Made from natural alpaca fiber these socks allow your feet to breath and wick away moisture too. Remember,alpaca is odor resistant - a great quality for socks. These socks are toasty warm - once you get them on you won't want to take them off! Great for outdoor work in cold temperatures, hiking, hunting, wading of work boots. Alpaca socks make a great gift for friends and loved ones and a great gift to yourself too!